T/5 Clifford C. Whitley, son of Mr. and Mrs. M. C. Whitley, graduated from Altus High School. 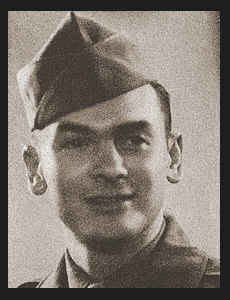 Entered Army in Dec., 1942, trained in Ft. Belvoir, Va.; served in Africa, Sicily, Italy, France, Germany and England; was wounded in action in Jan., 1945, in France; is now discharged. Awarded ETO Ribbon with five Battle Stars, Good Conduct Medal, the Purple Heart, Arrowhead.